and her father lives in another town. Luckily, her caring Grandpa is always close at hand to help out. Grandpa breeds show chickens and Bridget loves to help out. 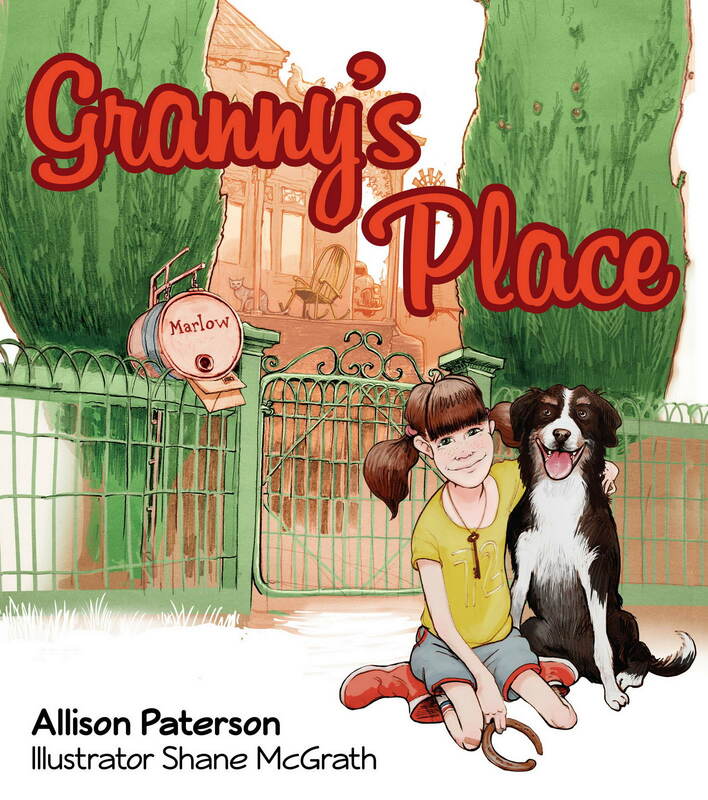 One day when Bridget is feeling a little lonely, Grandpa decides to let Bridget pick a chicken of her own. Far from picking the most beautiful chicken, she picks a strange looking roster she names the “Duke of Hinklewinkle”. The two become inseparable. When Grandpa’s cranky old neighbour, Mr Borewater’s chickens are under threat, The Duke of Hinklewinkle surprises everyone. Irina Goundortseva’s colourful picture book explores the messages of self-acceptance and belief in your own abilities. A little mosquito loves to watch the beautiful butterflies fluttering their pretty wings. When the mozzie finally gathers the courage and asks to join the butterfly group, it is rejected. The butterflies even call the mozzie names. When the butterflies become caught in a collector’s net, they need the skills of the little insect to rescue them. Disguised as a butterfly with petal wings, the mosquito bites the human’s hand and the butterflies all escape. The moral of the story is to be comfortable with who you are. 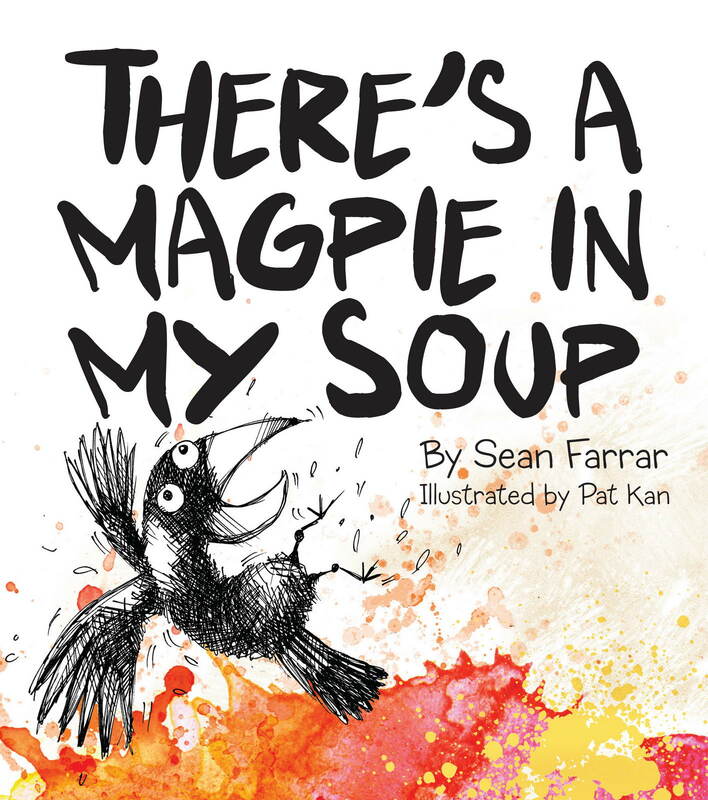 Different use of font sizes and easy to read text placed on a white background make this picture book suited to young readers. The soft watercolour and ink illustrations are bright and lively. 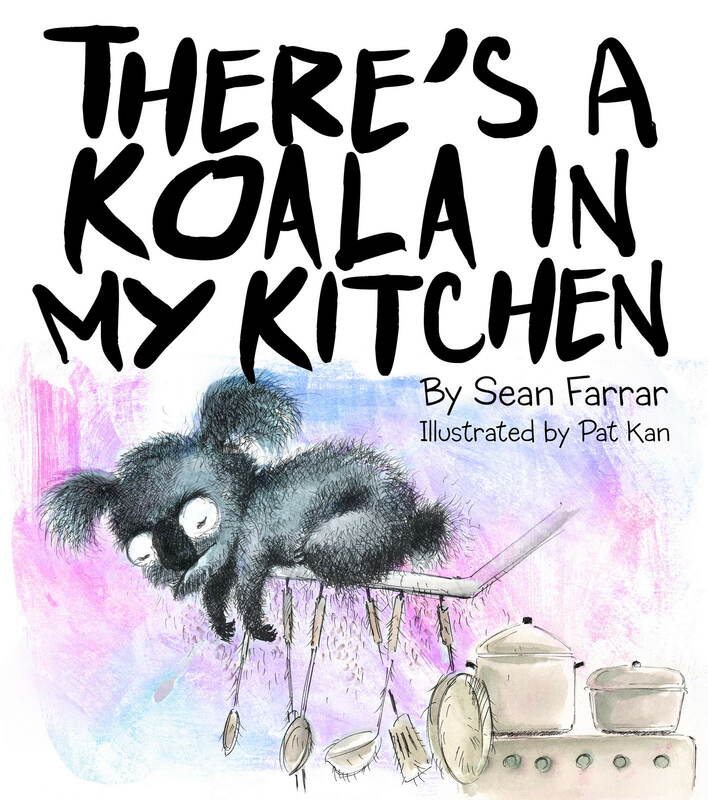 This gender-neutral story is appealing to read to kindergarten and preschool children. This is a delightful story that is just fun to read. 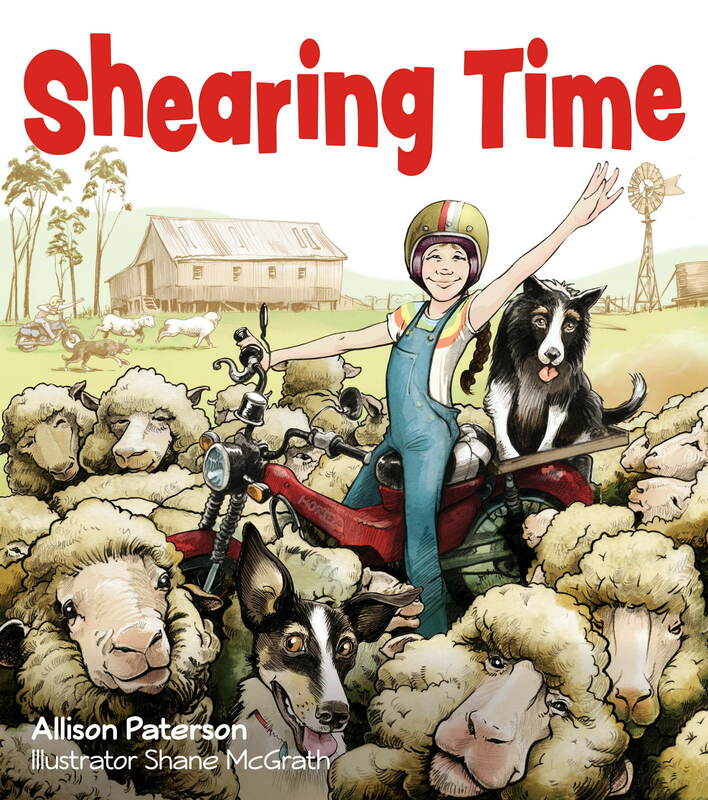 While the theme of chooks in books is not new, this one is full of family love and humour and accompanied by bright, cartoon-like pictures that will attract the reluctant reader immediately. Something to share just for the fun of it – is there a better reason? 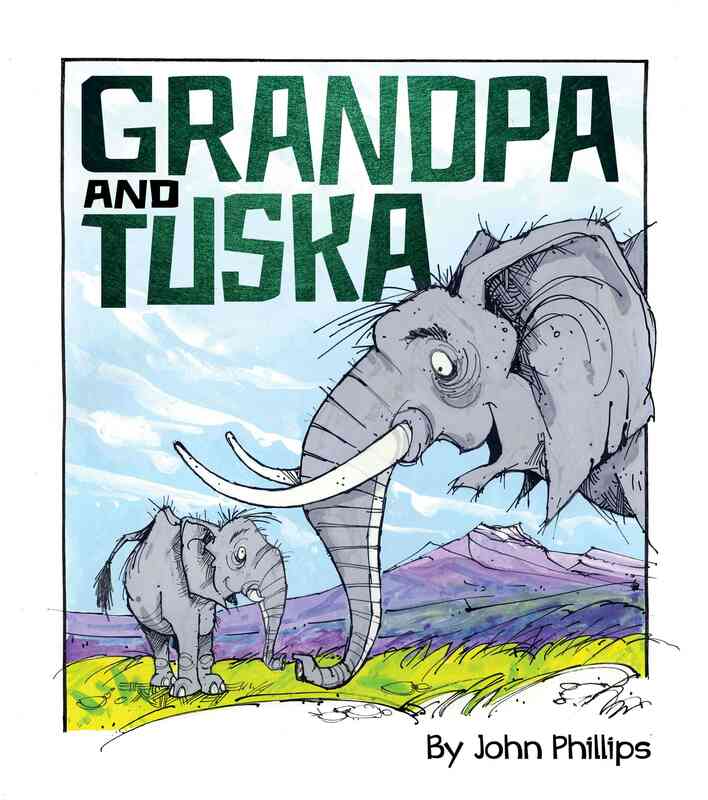 The Duke of Hinklewinkle is a picture book narrative for primary aged children, written in third person, by author and illustrator, John Phillips.As an artist, John Phillips has created colourful and quirky illustrations to accompany his story. 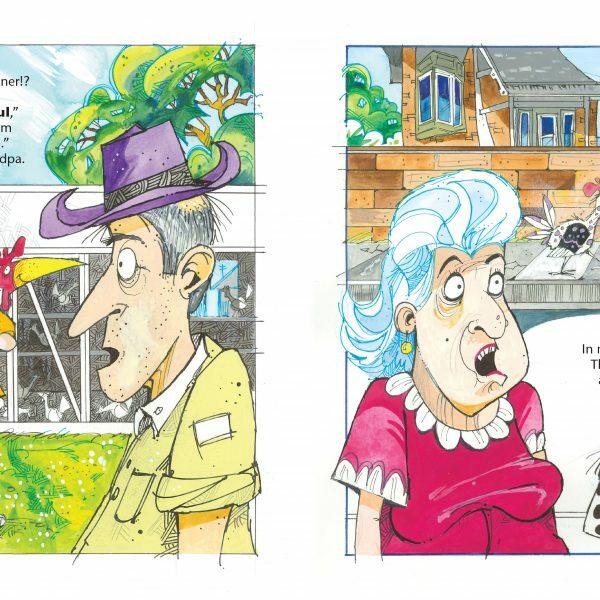 The illustrated chickens are guaranteed to keep the reader entertained. 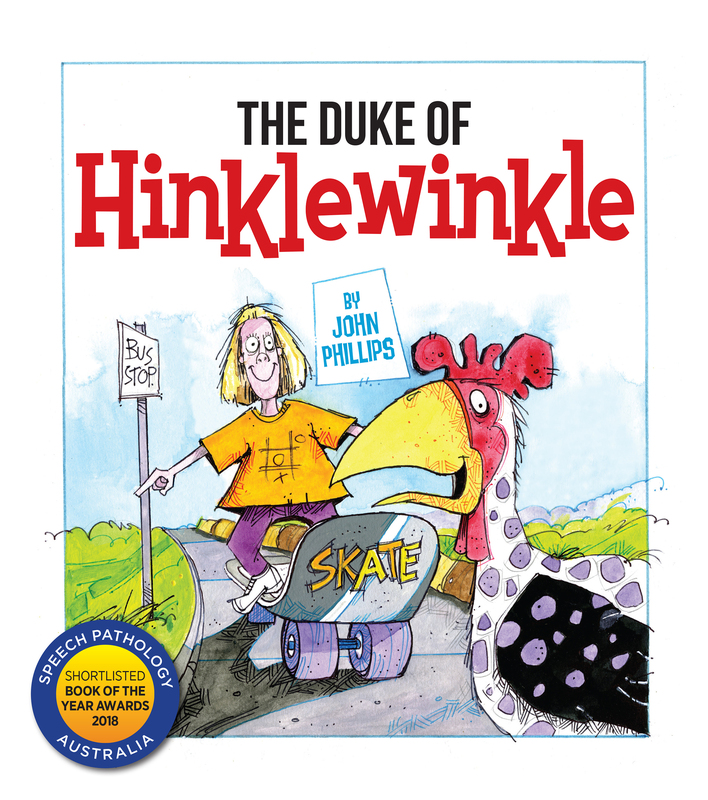 The Duke of Hinklewinkle is a story with a diverse family – Bridget’s grandfather helps with her upbringing as well as her mother, while her father works in a different town. 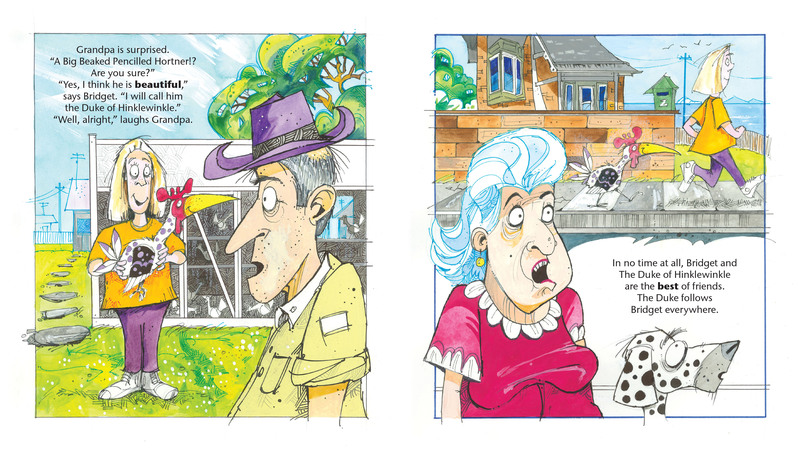 The big theme of the book is friendships, not only Bridget and her chicken, but neighbourly friendship as well.